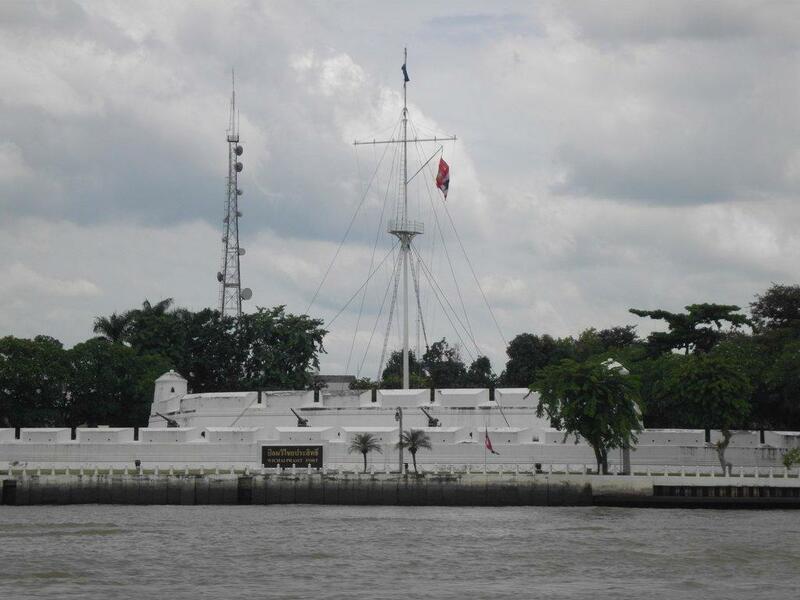 There are 2 forts left in Bangkok from this period, Fort Mahakarn and of course this one Fort Phra Sumen, Fort Phra Sumen was built in 1783 on the banks of the Chao Phraya River and the Banglamphu Canal, it has 2 levels of fortifications for the canons and of course the observation tower. 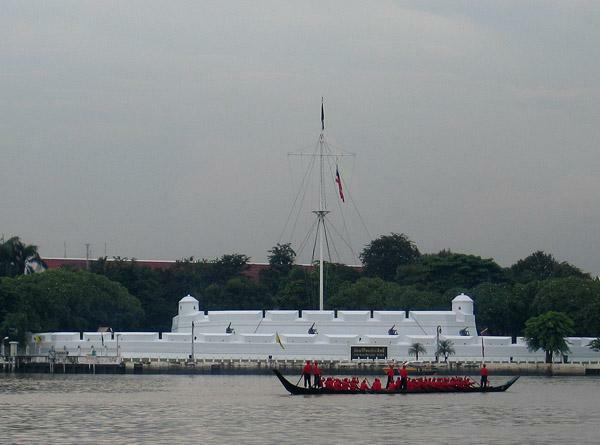 This fort protected the area up to the northern end of Rattanakosin Island. Originally there were 14 forts, sadly all that is left of this part of Thai history is the remaining 2 forts, thats progress I suppose. I suppose being so old it can be excused a coat of paint. 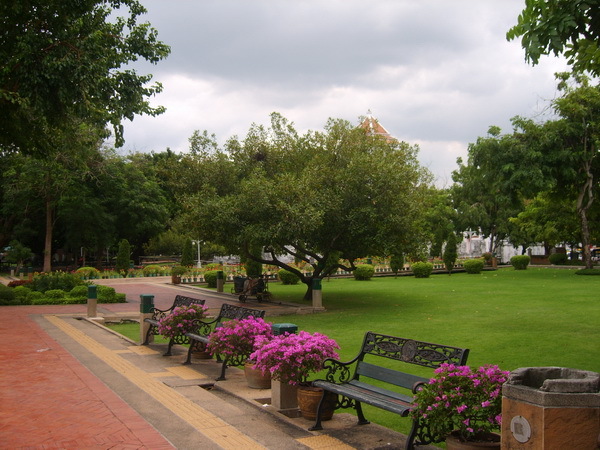 Next door to the fort is a small park called Santichaiprakarn Park, has some seating areas and that is about it. Found the other watch tower, this is taken from the main road near ther Democracy Monument, not as big as the other one but at least we have photos of both now, this one they are re-painting so should look good, hopefully they may polish up the canons also. Wichai Prasit Fort in front of Royal Thai Navy Headquarters . Technically not in Bangkok as on the Thonburi side of the river. Have to admit I have seen it before several times, just as we have gone past it think it is like battlements to protect that big gun in the middle. Looks good though. i.e. where Chao Praya runs into the sea, western river bank? ^Yes there is, can't remember the name off hand but it isn't in Bangkok proper so to speak, but the river boats and express boats do go there, takes about an hour I think. ^^^ Sorry about dat. Seemed to work last night but I was pretty pissed so who knows. Well, lets hope one of those two survives the copywrite police.